Beautifully designed Nexus Greenhouse located within the industrial park of Pueblo West, CO, otherwise known as the Green Belt. 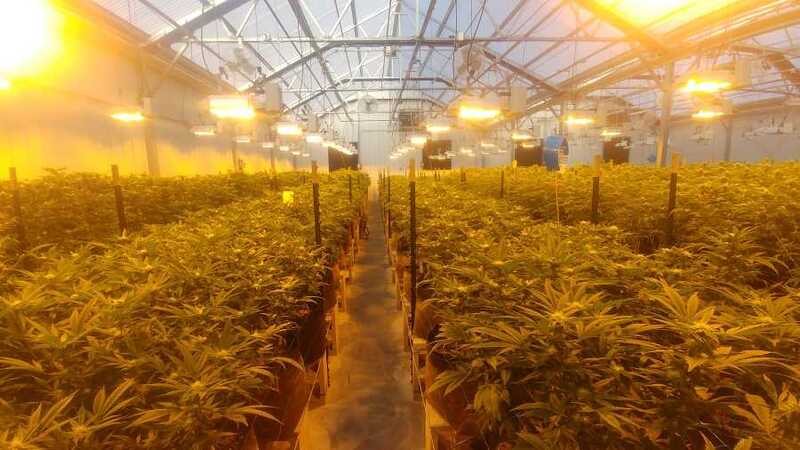 Turnkey business with Tier II (3600 plant count) Retail Marijuana Cultivation License. 8400 sq ft Nexus greenhouse custom built for cannabis production sitting on 1.65 acres. Wadsworth Seed Environmental Controller gives the user complete automation. Drying/curing vault with reinforced walls and ceilings, movable dry rack system, and independent temperature and humidity controls for the perfect dry and cure. 118 Gavita 1000W lights with double ended bulbs. City water with 2000 GPD Aquaflow RO H2O filtration system, expandable up to 10,000 GPD, with 3000 G holding tank. Dosatron Nutrient Delivery System with BlueLabs Nutrient Monitor. Complete with drip system that can be run manually or automatically. Building was outfitted for expansion up to 27,300 sq ft. Complete with 2" city water line, expandable RO filtration system, 480/277V, 3 phase electrical supply with oversized transformer and switch board, expandable environmental controls, and much more. Requirements have been met to apply for Tier III (6000 plant count). Current plant inventory included to generate quick revenue for new owner. Owner financing is available. Flexible terms. Please bring offer.